This former star share was the stock investors loved to hate last year. Its hard-won gains are now lost. 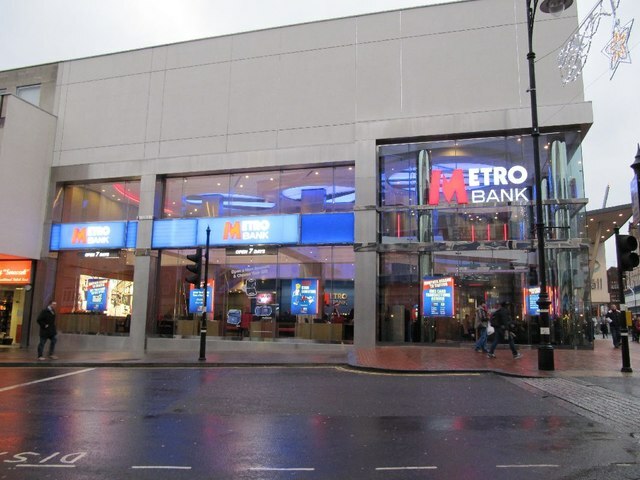 A stunning start to the year for Metro Bank (LSE:MTRO) shares unravelled in spectacular fashion today as the market's 2018 worries about unrealistic growth expectations and fierce mortgage competition resurfaced. The trigger for the mid-cap stock's 30% slide to a record low was the company's weaker-than-expected guidance for annual underlying profits of £50 million, even though this represents growth of 138% on a year earlier. Metro revealed that trading softened as the final quarter progressed, reigniting fears that the challenger bank's margins are being squeezed in the mortgage market. The update means short-sellers are again in the ascendancy, having been in retreat in recent weeks following a 36% surge for the shares since Christmas. 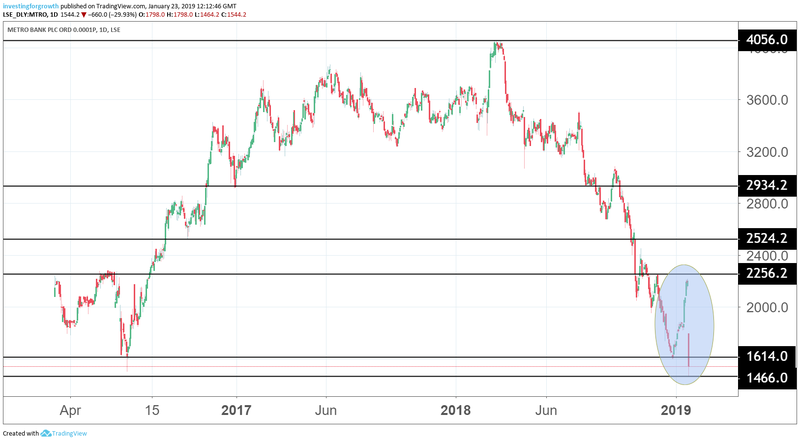 January's rally now appears on the Metro Bank stock chart as little more than a brief respite, having seen shares slump more than 50% in 2018 as the company failed to shake off scepticism that its performance merited a premium valuation. As we reported last autumn when quoting Investec banking analyst Ian Gordon, it appears that Metro has been the stock that investors "love to hate", regardless of its figures. He suggested this was part of a trend of significant de-ratings for stocks valued on the basis of strong future performance. Last summer's £300 million surprise capital raising certainly won't have helped as it has left investors wondering if another cash call is on the way. The net interest margin is also troubling, with the most recent figures for the nine months to September 30 showing a 15 basis points decline to 1.82%. That reflects the ultra competitive mortgage market, with Metro competing in the same space as major high street lenders including Lloyds Banking Group (LSE:LLOY). Mortgages accounted for 66% of the loan book in October, so the ongoing consumer uncertainty over Brexit also won't be helping. But today's figures show continued impressive loan and deposits growth, with the performance for 2018 up 48% and 34% to £14.2 billion and £15.7 billion respectively. The rise in profits, however, was still short of the £59 million expected by analysts. Today's share price slide takes the stock down to a record low of 1,540p, having peaked at nearly 4,000p in February. Earlier this week, JP Morgan cut its price target from 2,200p to 2,000p while Morgan Stanley is at 2,300p. The FTSE 250 stock continues to expand its store and digital reach, with more than 100,000 new customer accounts added in the fourth quarter. There were new outlets in Bath, Crawley, Northampton, Putney, Ashford, and Piccadilly in the period. From its first outlet in July 2010, Metro Bank now has 66 stores, with a further seven in advanced planning stages or under construction. "Metro Bank remains well positioned to support our growth strategy as we navigate an uncertain period for the UK."